The kids have been home for a couple of days now and I am reluctant to report I have already heard them mutter the B-O-R-E-D word a few times. I don’t know how we have made it this long without them using it, but they have picked it up somewhere and I don’t like it. I pulled my daughter aside just after we walked in the door from grocery shopping yesterday to tell her we wouldn’t be using that word in our house and if she did start to get to feeling that way, there were PLENTY of things in the house for her to do on her own. Up until now, she has always kept herself occupied building or creating things, sewing, drawing or reading. I’m not sure why those aren’t doing the trick right now, but I sure am thankful to have a few tricks up my sleeve this winter break! 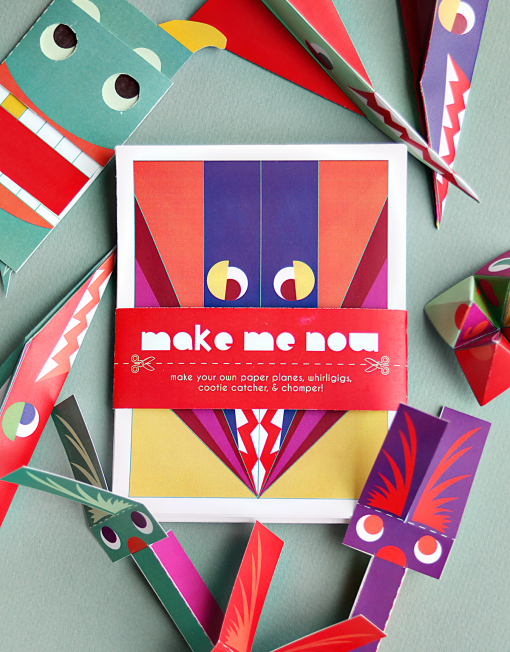 This gorgeous paper toy collection from Smallful being one of them. 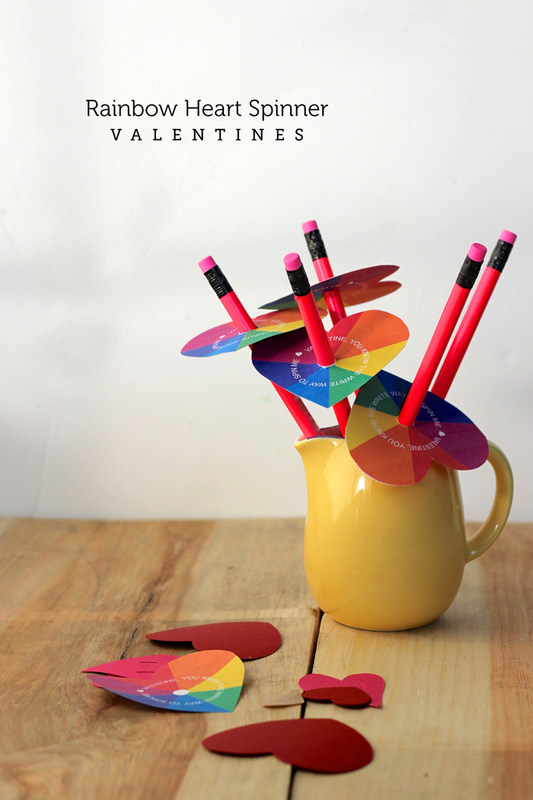 Smallful is a new printable site by my dear friend Mari Richards of Small for Big. 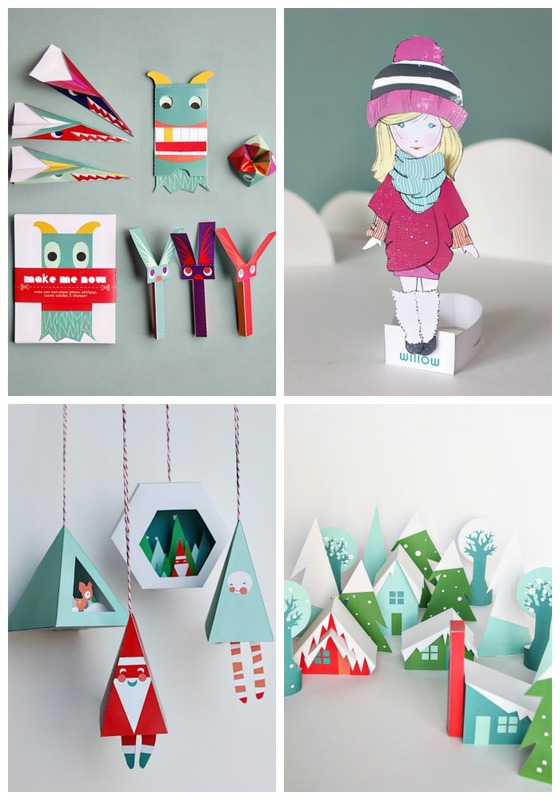 She’s been working frantically over the holiday season to get items like these paper toys, the most beautiful paper doll, 3D Christmas ornaments and a snowy paper village in the shop before the holidays. Every time she shows me a new design, I am just as blown away as the first time. I really do love them all! 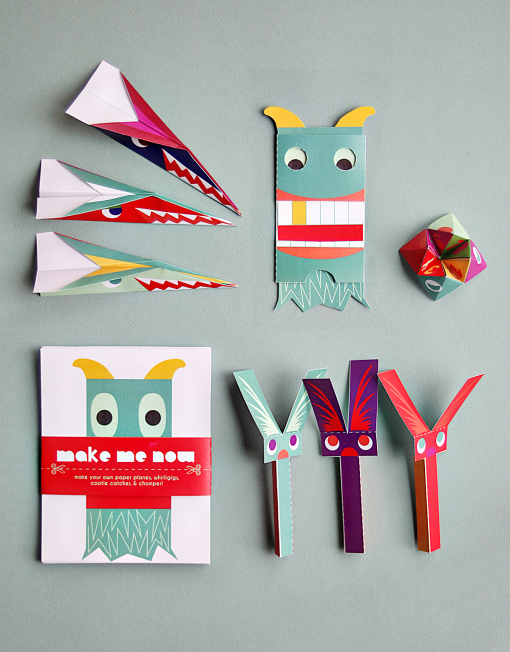 The play pack (pictured above) comes with 8 printable paper toys – paper airplanes, whirligigs, a cute monster whose moving mouth will talk your ear off, and a cootie catcher full of fun things to do. Stuff them in Christmas stockings, pull them out for a long roadtrip, mail them to your favorite far away kid, or print them out for winter break like we’re going to do. 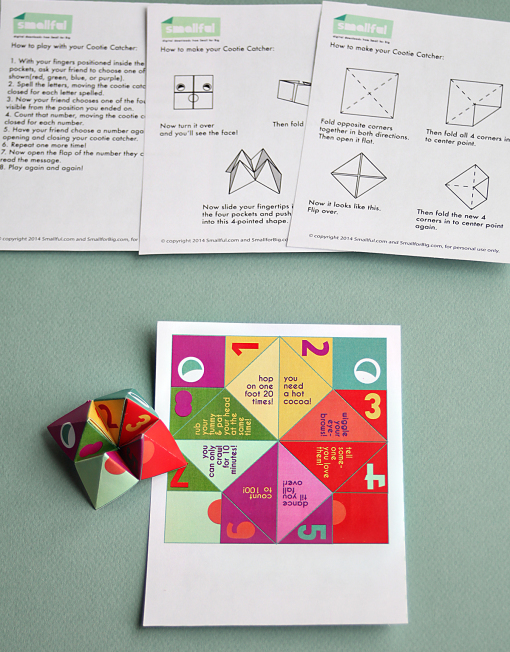 I imagine the cootie catchers will keep my kiddos occupied for quite some time, they brought home a few from school earlier this year and they were a hit, just as much with us as the kids … come on, don’t tell me you didn’t love these growing up? Check out all the gorgeous printables over at Smallful and don’t miss the holiday bundle she’s got on sale right now! 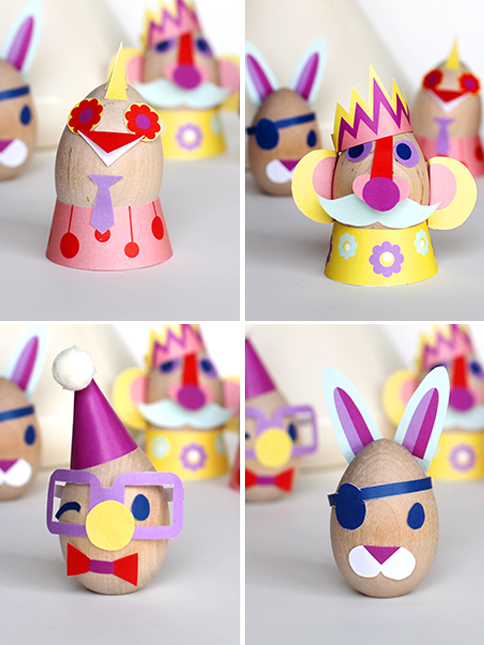 They make great activities to do while Christmas dinner is cooking or while all the cousins are over. Not to mention if you find yourself in need of the perfect quick gift!